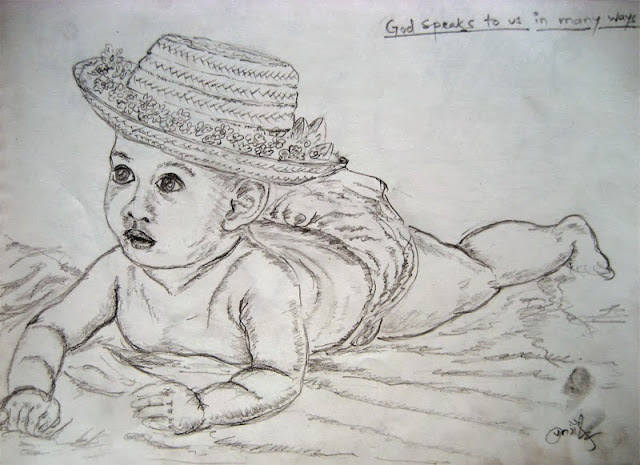 I did this sketch from a poster of a baby boy. The tagline "God speaks to us in many ways" is also from the same poster. The hat was quite complex but I managed to simplify it.